A reputable roofing company like our team here at ABM Services and Renovations aims to make our customers feel safe and satisfied with the outcome of every roofing project, which is why we match quality materials with expert craftsmanship. And one of the best roofing materials we have to offer is TruSlate®. What do homeowners get when they choose this product for their roofing system? Slate roofs made from real slate can last up to a hundred years. While some homeowners may think factory-manufactured synthetic slate is a good substitute, it just doesn’t cut it when it comes to durability because it can’t withstand extreme weather in the same way genuine slate can. TruSlate, on the other hand, has the highest slate-quality grade in the slate roofing industry with a classified S1 Grade, making it an excellent choice for your slate roof. A TruSlate roof comes with a series of quality accessories for a better and stronger roof. First, there’s the TruGrip™ Battens and Hanger, which are used to lock the slate tiles in place for a long time. Then we have Deck-Armor™ and WeatherWatch® Leak barrier to eliminate the chances of leak formation. To keep your roof free from moisture issues, we use UnderBlock™ UV and Moisture Barrier as an extra layer of protection against rainwater issues. 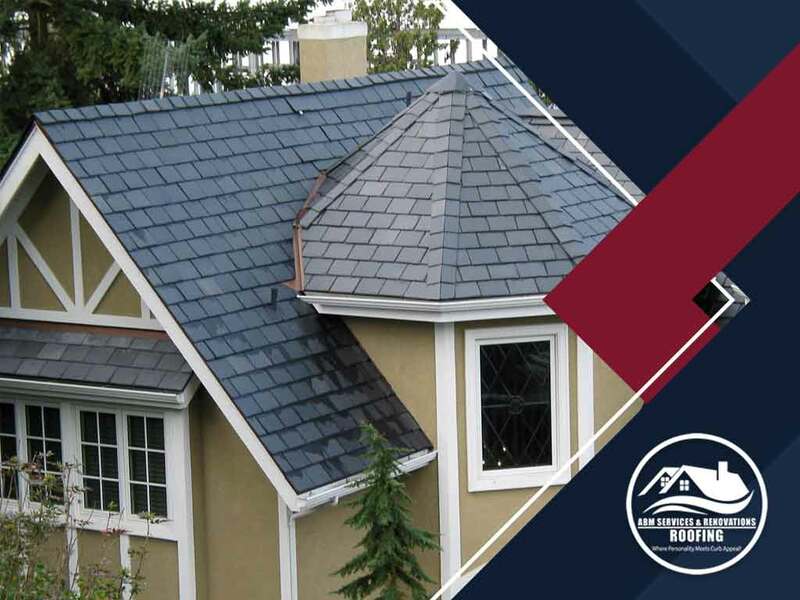 By using these accessories for your roof replacement, we are able to provide you with a highly- functioning slate roof that will protect your family indefinitely. The unmatched appearance of a slate roof is one of the reasons homeowners choose it. TruSlate roofing material comes in three traditional and eye-catching colors that will complement any existing exterior: charcoal, autumn dusk and onyx black. In addition to offering top-quality materials, we also provide quick and seamless roof installation. At ABM Services and Renovations, we promise to keep the roofing mess to a minimum on all our replacement and roof repair projects. Call us today at (770) 282-3700 or fill out our contact form to get a free project estimate. We provide fine roofing services to homeowners in Atlanta and McDonough, GA.